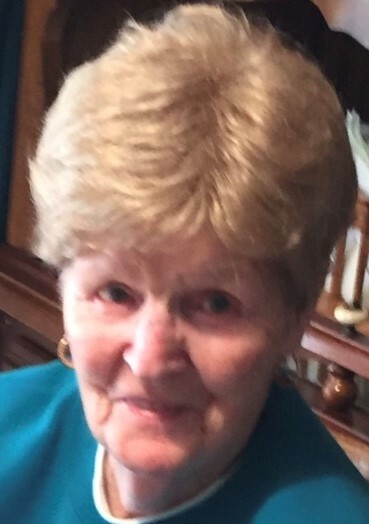 ZYNA B. WOJTYSZYN (nee Kornewska), age 93; beloved wife of the late Louis; loving mother of Bill (Linda), Liz and Peter (Joyce); devoted grandmother of Lisa (Jeff), Jeffrey and Kristie (Fred); cherished great grandmother of four; loving aunt of Henry Mankowski (Ann). Friends may call at GOLUBSKI DELIBERATO FUNERAL HOME 4747 TURNEY RD. CORNER of GARFIELD BLVD., where services will be held on Tuesday, July 10 at 11:00am, followed by a Mass of Christian Burial at Saints Peter and Paul Church at 11:30am. Interment St. Mary's Cemetery, E. 71st. St. VISITATION TUESDAY FROM 9:30AM - 11:00AM (UNTIL TIME OF SERVICE) Online condolences may be submitted at www.GDFH.net.